Health experts have questioned the benefits of beta blockers in treating certain heart attack patients. Researchers at the University of Leeds said patients given beta blockers after suffering a heart attack with heart failure did not benefit. Beta blockers reduce the activity of the heart and lower blood pressure. 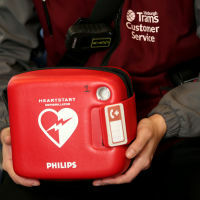 They have to be given to heart attack patients who have suffered heart failure. In these patients they help the heart work more effectively. Heart failure sees the heart muscle suffer damage and fail to work properly. All heart attack patients, whether or not they have also suffered heart failure, are recommended beta blockers. Researchers looked at how beta blockers benefited those heart attack patients who hadn't also suffered heart failure. Comparing death rates of those treated with beta blockers, they found no statistical difference in over one year of suffering the heart attack. Anyone who has suffered heart problems can arrange specialist medical travel insurance ahead of a trip overseas. Chris Gale, Professor of Cardiovascular Medicine at the University of Leeds and Consultant Cardiologist at York Teaching Hospital Trust, said: "There is uncertainty in the evidence as to the benefit of beta-blockers for patients with heart attack and who do not have heart failure. "This study suggests that there may be no mortality advantage associated with the prescription of beta blockers for patients with heart attack and no heart failure."